Getting the blues because our girl in blue Supergirl is on hiatus from TV until January 23rd? 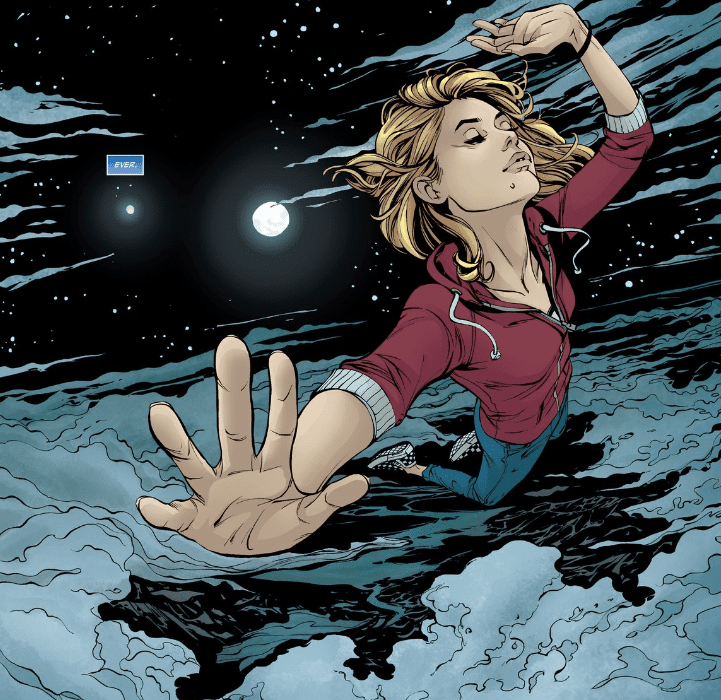 Looking to dive into a Supergirl comic but don’t know where to start? Look no further than this four part miniseries Supergirl: Being Super! This out-of-continuity series—meaning that it does not take place within the already established timeline—explores teenage Kara Danvers’s life growing up and learning her identity and history. DC is proving that knows how to close out 2016 with something exciting instead of depressing. If you’re a fan of Supergirl in general or one of the creators, this is a must-read. Being Super has a stellar, mostly female team behind it, and it shows. The female characters have diverse personalities, interests, and body types. Kara even has a proudly queer best friend named Dolly who is already my fave. The story delicately balances Kara’s confusion over her identity with the more stereotypical teenage concerns (like giant zits) without undercutting the significance of either. It’s the kind of comic I would have wanted as a teen and can still enjoy as an adult. The writing and artwork work together beautifully. Mariko Tamaki, the writer, has a history of grappling with the toughest issues teenagers face: cutting, depression, suicide, attraction to teachers, and being LGBT. She’s also known for writing about self-discovery and not fitting in to status quo culture, so she’s a perfect fit to write about a superpowered alien teen grappling with her identity, past, and, yes, ginormous exploding zits. Joëlle Jones, the artist is best known for her work on Lady Killer, a Dark Horse Comics series featuring a 60s housewife slash professional killer. Jones has a visually pleasing style with a kitschy vibe that captures the upbeat yet confusing tone of how Tamaki writes teenage Kara Danvers. It’s a YA Supergirl dream team. I deeply appreciate the variety in character design among Kara’s friends and family. Kara and her two best friends have different characterizations without being a stereotypical trio like the Powerpuff Girls (bossy, badass, bubbly). Their shared interest in running binds the disparate personalities together despite their difference in self expression. They bicker and jibe each other without being catty, which is a welcome reprieve from the plethora of Mean Girls™ in teen media. Dolly, the self-styled “badass d*ke” won my love immediately with her alternative punk style and purple hair. According to Tamaki, she makes her own T-shirts, which only makes me love her more. She’s self-possessed and sure of herself and her desires, as is Kara’s other best friend Jen. The choice to make Kara insecure about her identity and place in the world works in this story world, especially since she does not remember Krypton or anything about herself. The plot holds up well to the art and diverse characters. The literal cliffhanger at the end only makes me want more, and I’m excited to see how and when Kara discovers her Kryptonian heritage. There is a creative and subtle homage to her super suit in the end that I appreciate, as well. Did we really need a scene of a huge zit literally exploding all over Kara’s bathroom? I mean, I get what they were going for and can appreciate the gross humor of it to a point. But pus covered bathrooms really aren’t my thing. I have a sensitive gag reflex and this was not the best way to keep it from acting up. It’s not a wrong choice at all, just not my favorite. I’m so glad Jones didn’t take it further. I miss the Alex, Jeremiah, and Eliza Danvers I know from the TV show. This isn’t so much a nitpick as it is an outcome of my introduction to Supergirl being from the show. Alex Danvers is such a powerful and interesting character that I forget she’s not actually a part of the DC universe. The same goes for scientist power couple Jeremiah and Eliza; I forget that Kara from the comic book continuity was raised in an environment much closer to that of her cousin Clark Kent, i.e., on a farm, hauling tractors. Only she does it while texting her friends. Like you do. That being said, I still enjoy this version of Kara’s parents. Her mom is loving, open-hearted, and a bit of a rebel as she blithely ignores her husband’s benign conspiracy theorizing. Her dad reminds me of Ron Swanson from Parks and Recreation, which is awesome. His admonition to “keep the run in your heart and not in your feet” is the right balance of love and desire for secrecy without being repressive. In the end, it’s not bad, just different. She has loving parents and that’s really all I care about. Oh yes! I give it a 9.5/10 and can’t wait for the second issue, which comes out February 22nd, 2017. Do I really have to wait almost two months??? Both teenage and adult me feel this deeply.